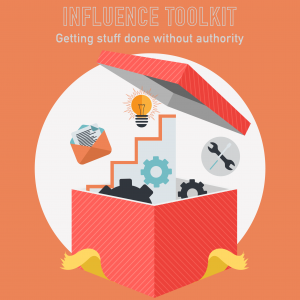 How do you get people to get stuff done when you have no “authority?” That’s a lot of the art of Project Management! In today’s episode, we walk through a few of Kate and Kim’s secret weapons that you can use to get things done even when you don’t have formal authority. This entire podcast was inspired by a great question from one of our PM Happy Hour members – big shout-out to Dani! Whether you are a Member or a Listener, we love to hear from you – give us a shout anytime at podcast@pmhappyhour.com ! Check out or full show notes! Kim’s Quotable Quote: Coffee and honesty solve a surprising number of life’s problems. Kate’s Quotable Quote: Don’t take it personally. This episode is about how to get people to get stuff done when you have no formal “authority” to compel them. In this show, we walk through a few of Kate and Kim’s secret weapons that you can use to get things done even when you don’t have formal authority. More often than not, we find that if you act like you have the authority and have conviction, (and know your stuff), a lot of times people will simply assume that you do – and will follow your direction. This is especially true when there is a bit of a leadership (or a decision) vacuum in the organization. Team members and stakeholders of a project will often follow someone who picks up and takes the lead. As Project Manager, you may be the closest to legitimate authority that’s around. So, the first step is to “fake it till you make it,” and act like you have authority and influence until you have it. You’ve been empowered to lead this project. That means somebody believed in you to get this project done. There are employees who aren’t dedicated project resources. Their job can be to KTLO (keep the lights on), or to deliver for 5 projects at once, or to do break-fix production work. Knowing where your project sits in relation to their ‘job’ is an important piece of information so you can have the right expectations, and can work with their situation. You also need to know WHERE to influence. It doesn’t matter if I can do a Jedi mind trick on my project SME to try and get him to spend more time on the project if he simply does not have the time. If there are no droids, there are droids to look for. So, maybe talk with that person’s manager instead of the SME. What project “levers” might work on them? Project team influence using Logic: Some people are be more fact-based and need to understand the logic or reasoning behind an assignment. And others will be more emotion-based and need to feel good about the project. Your team members is probably going to fall somewhere in the middle. Project team influence using Process: Also, if your resources manage themselves in a very organized way or are very process oriented, they may appreciate it when you follow the appropriate channels of work. Using a specific work request tool (Jira, Trello, some change request process) helps, and ensuring that the project you have is prioritized against their overall backlog. It might be that they don’t care who’s asking for work, as long as the request falls into the way they receive and organize their work – for themselves or their team. Project team influence using Squeak! : Sometimes, team members can be more of a ‘fix whatever squeaks loudest’ kind of person, and you need to determine how to “squeak” at them. Project team influence using Bad PR: Others HATE hearing that they are causing a problem. And they need the prompting that they’ll be called out as a delay if they don’t complete something. It will be trial and error to figure this out. Project team influence using Deadline: Some people simply cannot get things done without a deadline. If your team member is one of these, then set a deadline and follow-up, frequently! There are a lot of different personality models out there. These can used to describe how people work, how they like to be treated, how they make decisions – and how they can be influenced. It’s a whole industry with lots of different models and focuses. As a Project Manager it’s worth your time to invest some time and effort in looking deeper into these soft skills. Once you know your team, how they like to work, and how they *actually* work, it’s a good idea to figure out what “levers” you have to influence them. Start with with a 1:1 conversation with the problem person. Call it out as a formal risk or issue, with their name on it. Before all that, just taking someone to coffee and having an honest conversation about what you need, why, and how you can work together to get it done goes a long, long way. That’s pretty much always our step #1: The coffee conversation. If you can reward a team member for being great, definitely take that avenue. It will make a huge impact. And they might tell other people that they got a bonus. This too will make a huge impact. Another technique is clarifying impacts. A lot of times, project team members don’t understand, or simply don’t consider the impact that their actions have on you, on the other team members, on the project, sponsors, stakeholders, and organization. So, you should spend some time explaining the impacts of their actions on all those involved. That can be motivating to not only understand that you are needed, but also that what you do has a big impact. This goes back to the “Stupid Executive Asks” episode. A lot of times if you provide very matter-of-fact evidence of the end result of what they are doing or not doing, that can help motivate them. If we look at the PMI PMBOK Guide © , they do give us a little bit of guidance in this area. In that, they list 5 “sources” of power you can have over your project team. Giving a list isn’t a whole lot of help in itself. But maybe if we talk through these we can squeeze out some gems. PMI talks about this in terms of the PM, personally. But we think you can extend that to the project and use aspects of the project to influence behavior. Good and bad things the project will do, or good and bad impacts on the other project team members or stakeholders. Legitimate Power: This is the formal authority given to the project manager to get something done. They have the right to issue orders or make requests of assigned team members. It’s determined by what is the normal role for a PM in that organization and among the members of the team. Expert Power is where the PM is respected because they know their Sh-tuff. Commanding things on the project by processes of project management and assuring that the team will get the support they need. This topic contains 0 replies, has 1 voice, and was last updated by 11 months, 1 week ago.